... Stupefaction ...: Happy 10th Anniversary to Stupefaction! Happy 10th Anniversary to Stupefaction! 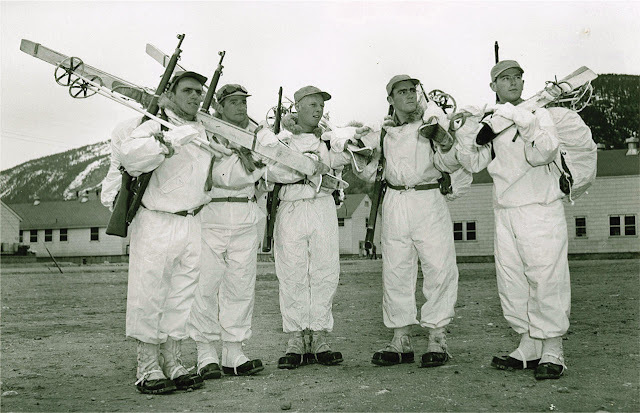 This swell photo of some fellows from the 10th Mountain Division seemed as good as any to tout the fact here that Stupefaction has creaked along to it's tenth anniversary. That's positively ancient in interweb years! So congratulations to me. I'm not posting a whole lot these days as I'm pretty busy selling records, but I'll take the opportunity to remind you of some of the places you reach me besides here.